Love Saves the World: Winners! December New Releases Giveaway Hop! Super fun hop! And I loved all the comments on my blog about which December release readers were most looking forward to. Thank you, to Book Twirps and Refracted Light Reviews for hosting! 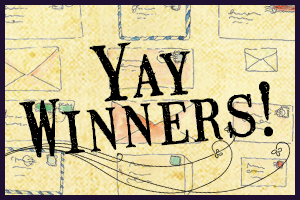 Both winners have been notified, confirmed -- and their prizes are on their way! Enjoy! Thank you to everyone who joined! 'Til the next Giveaway!